FREE roots revival session ~ Sunday 8 November ~ Reggae Heaven at Paradise, 19 Kilburn Lane, London W10 4AE ~ DJ Robin Catto + MC Ruben Da Silva + special guests live on the mic . . .
Lovely, Rafinsky - thank you! Luverley classic section. 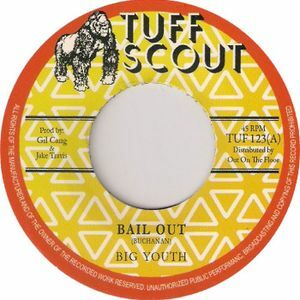 Big Youth smashes it with Bail Out. Eccleton Jarrett a close runner up with a killa tune. Ha ha thanks - glad you love Bail Out as much as I do . . .